I've brought a friends AFM back from the dead. Everything is now working but the strobe. 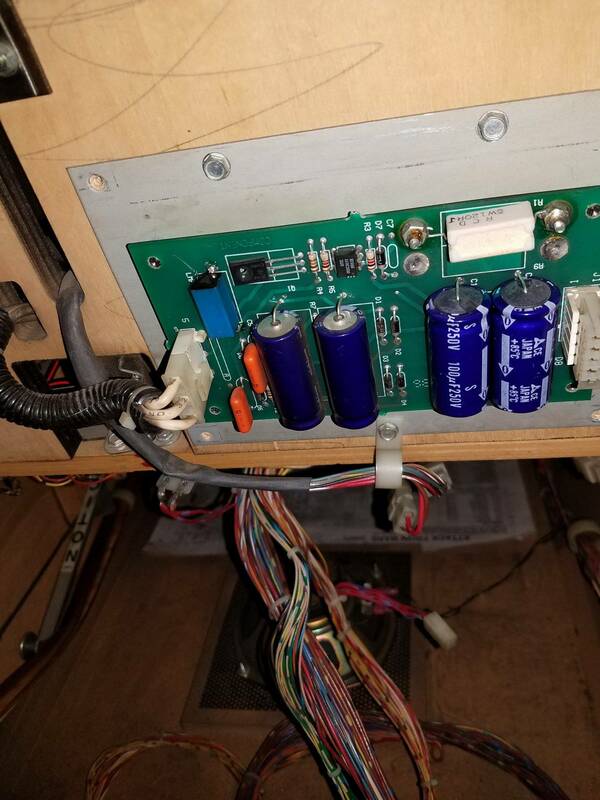 I've done the research online and on old Pinside topics and it seems to point to the poorly designed driver board. Putting 140v thru a 100v cap seems pretty dumb. It seems there are several fixes. My quesrions: 1) Are there any driver board rebuilt kits still available out there? 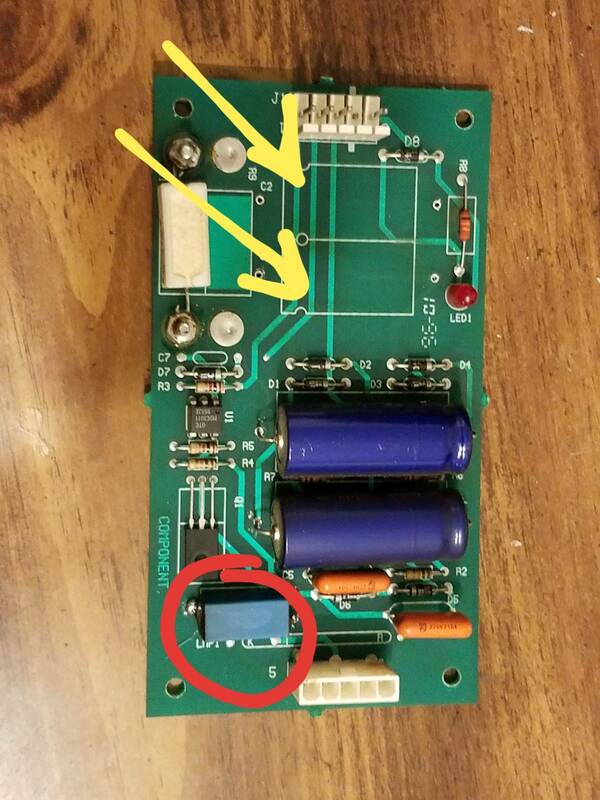 2) if not, what is the "best way" to repair this board? Hope they come back in stock one day. I wonder why someone couldn't build a board using today's high powered LEDs as a strobe. Low voltage and intense light. Someone can. Just need to do it. FWIW - that’s how the remake was done. I still haven't been able to get the strobe board I've been tinkering with working. I really like the idea of an LED replacement. I've spent way too much time on that darn thing. Did you try reaching out to Martin at Pinbits? Interesting. Pretty sure Metallica does this too? After finally getting a chance to pull the strobe driver, I saw the small transformer/starter (in red) had completely fallen off the board. So I crafted new leads for it and resoldered. I'll start with this and see what happens. I wanted to bring closure to this thread incase someone ran across it. The strobe has been repaired and is working well. I replaced C1 and C2 with 250v 100uF polar capacitors. HOWEVER, you must also add 1N4004 diodes across the cap leads on the reverse side of the board. Banded side of diode to the negative lead of the cap. Failure to add the diodes will cause the caps to pop. As mentioned earlier, I also had to reattach the trigger transformer after it completely separated from the board.